Unlike softneck garlic, hardneck varieties do not have a flexible stalk. When you buy this type of garlic, it will typically have an extremely firm stalk protruding an inch or two from the top of the bulb. Hardneck garlic sends up scapes from its central woody stalk when it is growing. A scape is a thin green extension of the stalk that forms a 360-degree curl with a small bulbil, or swelling, several inches from its end. Inside the bulbil are more than 100 tiny cloves that are genetically identical to the parent bulb beneath. Many people call these "flowers," but they are not really blooms. If left on the plant, the scape will eventually die and fall over, and the tiny cloves will spill onto the ground. However, most never make it that far. Cutting off the scapes keeps the plant's energy from forming the bulbil and therefore encourages larger bulbs. But don't throw out the scapes. They can be a delicious ingredient in your cooking. Another member of the Allium clan, (Allium ampeloprasum), may look like a good buy because it is so large, but its flavor is very bland. Elephant garlic tastes more like a leek; in fact, its garlic flavor is slight and its healing properties are inferior to those of other garlic varieties. 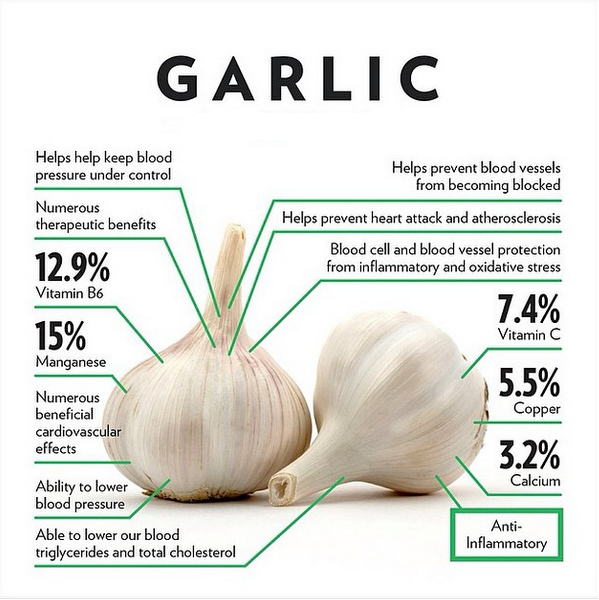 Use elephant garlic more like a vegetable than a flavorful herb.